You have already decided to apply for a college but you are not sure how the procedure is going, aren’t you? It will be good if you have at least one year for preparation because this process comprises many things, including improving your school grades and obtaining certificates, letters of recommendation, etc. One of the main parts of your procedure is writing an entry essay for college. The current guide will help you to form an idea on how to write it in an effective and precise manner. An entry essay for college is a short presentation of your skills, competences, achievements and potential. It is the proper place for advertising yourself as an appropriate applicant for the particular college. Its length is not precisely established, but we advise you to write not more than three pages - even this is too much. An entry essay for college is a short presentation of your skills, competences, achievements and potential. It is the proper place for advertising yourself as an appropriate applicant for the particular college. 2. Where to start from? You need to start from searching information about a college to apply for. You have various possibilities. One thing is clear: you should not waste your time, hence it is good to choose the college you have serious chances to be admitted to. Also check the application procedure and see if you have passed the necessary minimum for being enrolled (for instance, SAT score, TOEFL, etc.). Another possibility is to talk to your school advisor about the possibilities in front of you. You must be sure that the college and major selected by you are a good choice. 3. How long is the essay written? 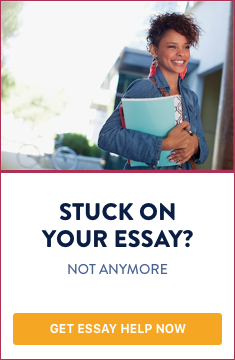 An entry essay for college requires at least one month for writing and editing. Do not think that it is easy: you have to write each section separately, with a lot of care and attention to the detail. If you want to write an excellent essay, it will take three months or more. Take this into consideration! First, you should start with getting yourself acquainted with the essence and form of the essay. We recommend you to take a look at some samples in order to understand what is required from you. Warning: never copy and paste passages from someone else’s essays! Do not think that the admission committee cannot check the origin of such passages! Besides, during the personal interview you may be asked to explain certain ideas presented in the essay. There are two approaches to writing an entry essay: by developing one main idea, and by presenting various ideas which are related to each other. We advise you to employ the former: to have one central idea penetrating the whole essay. It will be remembered more easily, and also you will avoid any risk of going astray from your thoughts and ideas (which can happen if you take the other approach). Think about yourself, your life and successes. What defines you best? What is your self-perception? Let’s say this is your strong will. You have experienced a lot. How can you put this idea intopractice? It is simple. Think about a situation which shows your strength and begin the essay with it. An outline is a necessary part of the writing process. It helps you to formulate your ideas clearly, and also to take a look at your work as a whole. The outline has to include references to all sections of your essay: introduction; motivation; school/academic achievements; extracurricular activities; contribution. The outline itself is not an essay; it is merely a plan for your work, so it can be modified in the course of time. It should take you between one week and one month to write it. Remember: an outline is not the same as the draft of your entry essay. The intro must catch the reader’s eye immediately. The commonly widespread presentation of one’s virtues and strengths in the beginning of the text is boring and will make the reader sleepy. You should describe a situation which presents you in full. Let’s say this is a case when you were lost in a forest with other children, but at the end you yourself have found the way and led the others. From this it follows that you have leading as well as orientating skills; you know what way to follow and how. Your strong will always helps you to overcome the difficulties. The introduction should be ten lines long at most, consisting of three-four sentences. Now it is time to explain the reasons for your application. Students usually write that a particular college is appropriate for them, or that it is very popular. You should be more precise: what did exactly attract you to this college? Why is this major? Do you know anything essential about the college - its staff, facilities and potential? Be honest. Do not say that you believe in your potential, or that the particular college has always attracted you. Tell the true reason for applying: that you are looking for a career prospect, for practicing a certain profession, and so forth. However, you should not sound like someone who does not care at all. Connect this paragraph with the following one - your school achievements. These include: your marks at school, recognition and awards related to classroom activities, etc. Describe only three of the most important. Remember that you have to attach documents confirming these achievements. Try to relate these achievements to the major and career you pursue. For a young engineer your scores in the field of Natural sciences would be of primary importance; for a future manager, mathematics and natural sciences would be important; and so forth. If you have participated in school conferences, seminars, etc., do not forget to include them as well. These are activities you do at school but not within the curriculum; or you do them at home, at hospitals, at cultural centers, sport halls/stadiums, etc. Focus your section on the central idea - strength. How is strength manifested through such activities? How do you show your leadership? Here is the place to mention your personal traits and virtues. Connect them with each other, instead of adding another section only for your personal traits. This section presents your potential contribution to the particular college. There are three aspects you can deal with: academic, social and professional. The academic aspect includes your academic skills and potential: to work on academic papers, to be involved in seminars and conferences, to apply for external grants, to be able to translate from foreign languages, etc. The social aspect is related to your organizational skills and your work in the particular student association. The professional aspect expresses your ability to practice your profession before graduating from college (as a trainee or apprentice). However, do not brag about yourself too much: during the interview you will be asked questions especially about this section. Do not revise your text immediately. Wait for a few days and then start checking for logical coherence. Search, especially, for contradictions and unclear statements. Revise the text again, then handle it to a friend or to your school advisor (if possible). Pay attention to their remarks and revise the text again (this should be the third draft). Now you need to check grammar and spelling. Do not change the essence of your text since this will only make your text confusing. It is not easy to write an entry essay for college. It requires excellent writing and reflection skills. Prepare yourself also for the interview because it is connected with the essay.